ITC India pvt ltd is dominant company focusing on testing and certification. It diversify its testing in electrical & electronics products and luminaries. It is located in Mohali ( Punjab) with spacious accommodation. Unambiguous equipments and skilled engineers are appointed for testing your products. It is an accredited lab from National Borad of For any query regarding testing ring at 9316473033 or write at info@itcindia.org , b.vig@itcindia.org & care@itcindia.org . 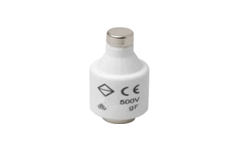 IEC 60269 is a relevant to fuses including enclosed current-limiting fuse-links with rated breaking capacities of not less than 6 kA, deliberated for protecting power-frequency a.c. circuits of nominal voltages not exceeding 1000 V or d.c. circuits of nominal voltages not exceeding 1500 V.
Fuse-links intended to be included in fuse-switch combinations according to IEC 60947-3 should also comply with the following requirements. 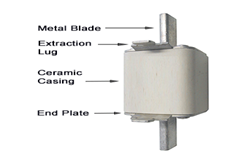 The object of this standard is to establish the characteristics of fuses or parts of fuses (fuse base, fuse-carrier, fuse-link) in such a way that they can be replaced by other fuses or parts of fuses having the same features given that they are replaceable as far as their dimensions are agitated. The application category is of 2 digit code. The first letter is “g” for fuse is intended to operate even with currents as low as those that cause it to blow in one hour. The second letter depict the kind of equipment to be protected. M –motor, G =general protection for wire and cables., Tr – treansformer. D(diazed) type fuse: They have ceramic body in shape of a bottle with metal cap ends fitted in screw-in fuse holder. They are available in five sizes D I(Swiss), D I (NDz), D II, D III, D IV, D **** D1 and DV are not tested as per IEC 60269. 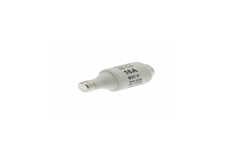 NH Fuses: They have blade style terminals with oblong body. They are generally used in electrical substations , junction box and distribution board.